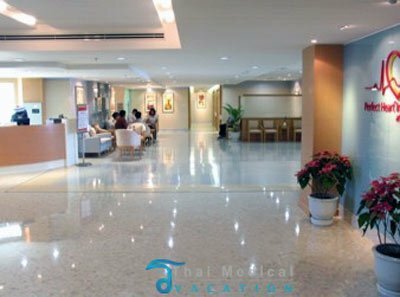 Piyavate International Hospital Bangkok Thailand is a publicly-owned hospital and wellness care services facility in Thailand. Piyavate began serving clients in early 1993, the 27-story hospital on Rama 9 Roadway in Bangkok. Today, Piyavate hospital has developed the experience and prestige of it’s health facility to reach 350 beds, and variety of specialized medical treatments and services. The Piyavate healthcare mission is to keep each of it’s centers of brilliance as a world leader in it’s primary areas of medical expertise, such as womens health and cardiac care. The Piyavate medical facility can given it’s patients from Thailand and around the globe with the most appropriate medical answers to their issues and very high quality results at an affordable price. For more information about Piyavate Hospital Bangkok promotions, rates and contact information, please Contact Us today.